Resources exist in the United States for funding the preservation of historic barns and structures. Those resources include state and federal departments as well as private organizations. The National Trust for Historic Preservation and the U.S. Department of Agriculture both have information and funding programs, some specific to rural barns. At the state level, try individual state historic preservation offices. All agencies also encourage private donations to assist in meeting the need. 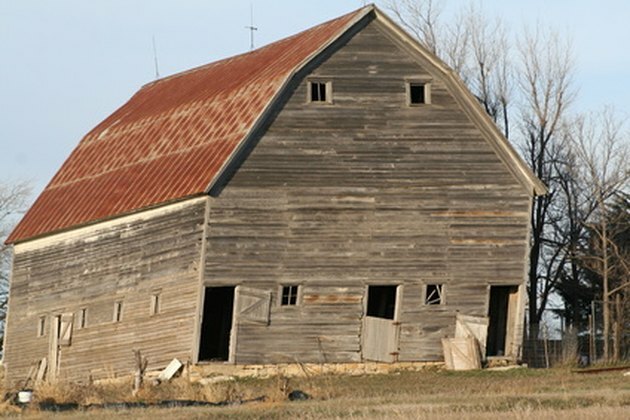 Federal, state and private programs all can help save barns. The National Trust for Historic Preservation provides three separate grants, and a private fund for nonprofit organizations. The Trust also offers loan programs, mortgage assistance and free information to individuals interested in projects related to preserving or restoring historic homes, barns and other structures. The office of the U.S. Department of Agriculture that handles rural development sets aside more than $6 million a year to match the grant funds of existing organizations that help with preservation. These grants help non-profit organizations, tribes or low-income communities to preserve historical rural locations, including barns. Many states have historic preservation organizations. These organizations set aside collected funds to help preserve historically important structures, including barns. Each state is required to have a publicly funded state historic preservation office. These offices provide assistance in identifying historic properties and maintain lists of private, individual grant opportunities. Tela Lewis has written professionally since 2006. She primarily writes about travel destinations, women's issues, healthy relationships, real estate, property management and construction safety. Lewis produces articles for various local publications, including a monthly wine and travel newsletter. She has an Associate of Arts degree in English literature from Solano College. Where Can I Recycle My Washer & Dryer?